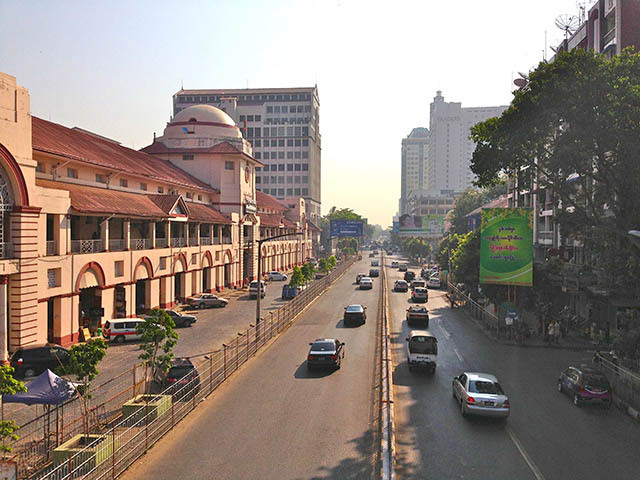 Looking back down Bogyoke Aung San Road (Left). The Traders Hotel is the highest building in the distance on the right and markets on left. This pic taken from an over head, over road pedestrian bridge. 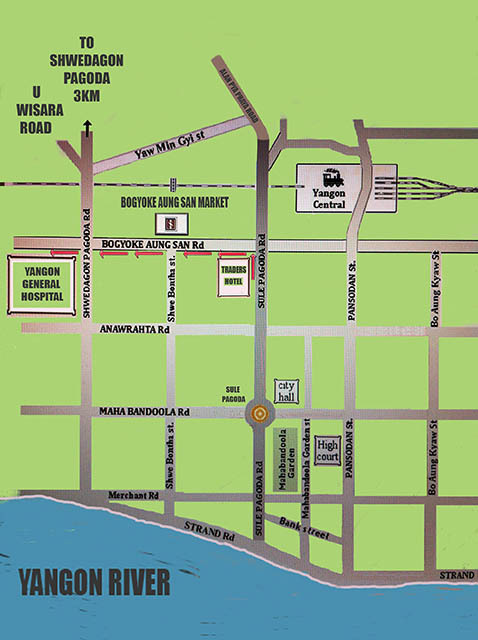 A simple map of depicting part of central Yangon (right), (I’ve removed a lot of the minor side streets), with route from The Traders Hotel to Yangon General Hospital. 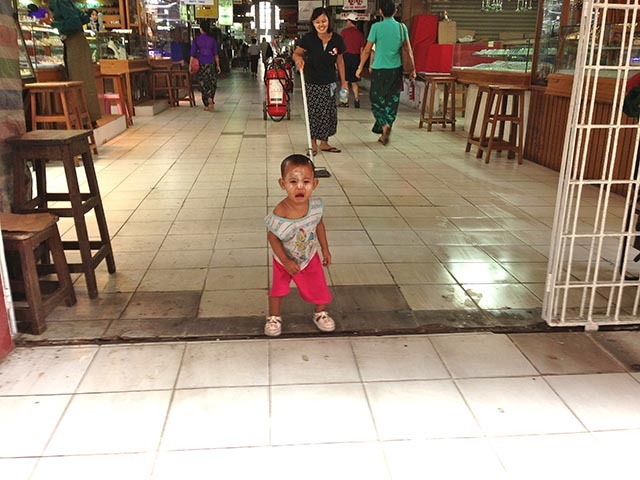 A female toddler (because of the face make up) inside the main markets, not too happy!